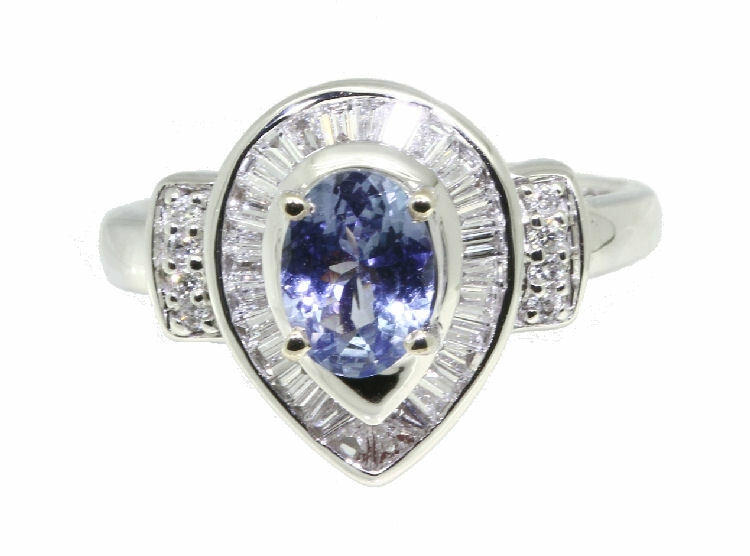 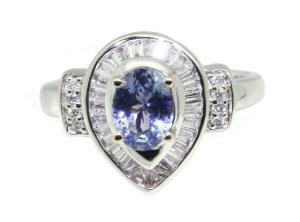 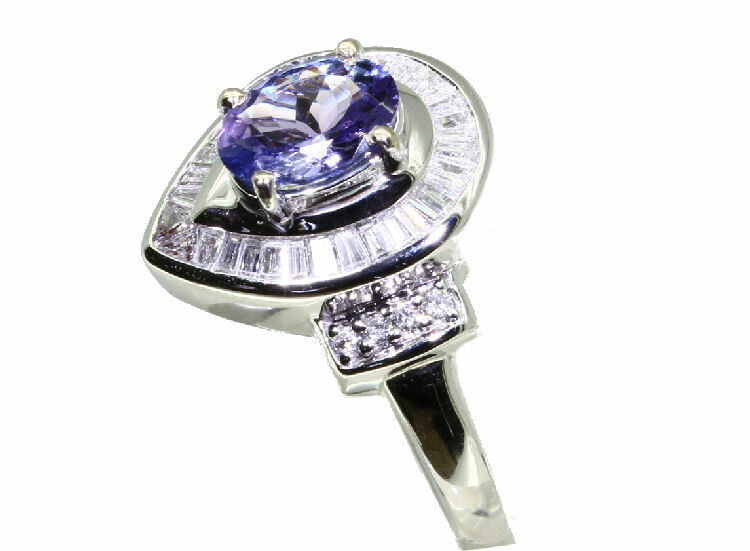 This spectacular cluster ring features a centre claw set violet-blue pear-shaped tanzanite beautifully framed by diamonds in an exquisite 18K white gold setting. 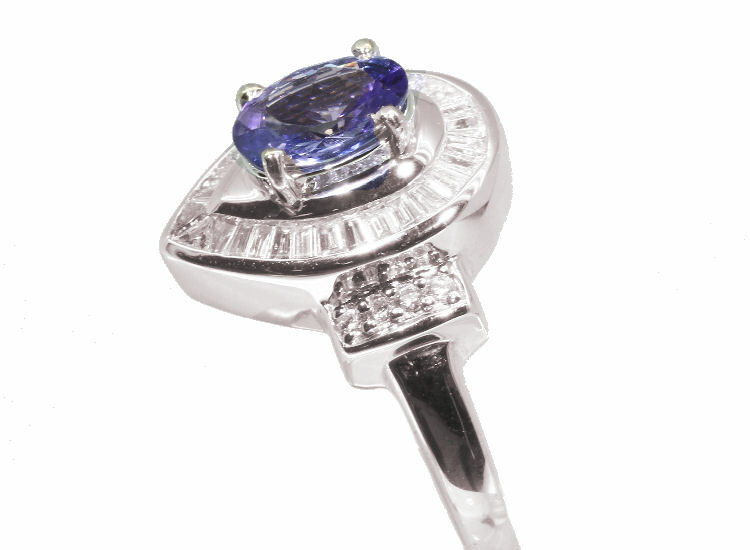 The diamonds are arranged as a row of baguette diamonds surrounding a wide shank with three round diamonds at each shoulder. 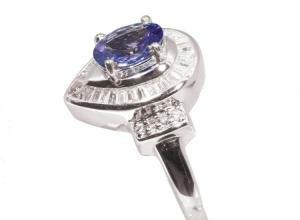 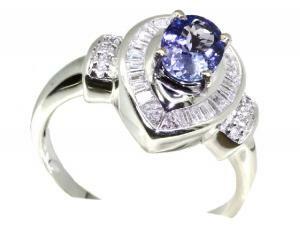 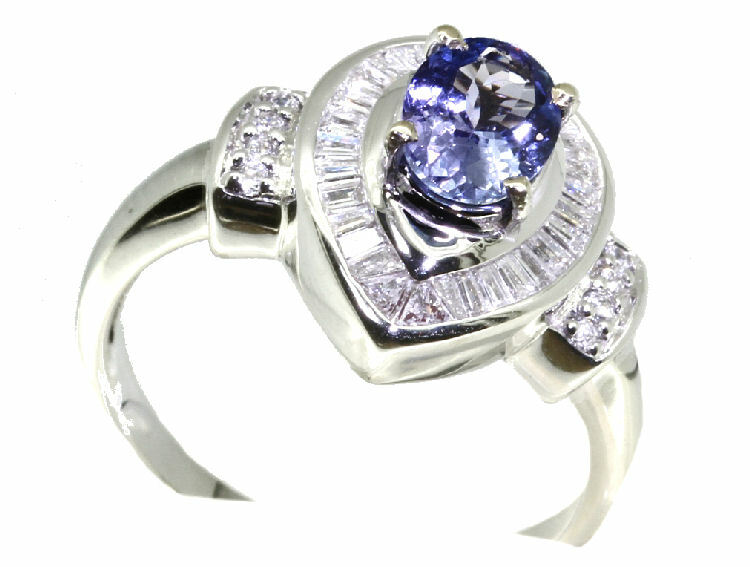 The weight of the tanzanite is 1.44 carats and the total weight of the diamonds is 0.46 carats. 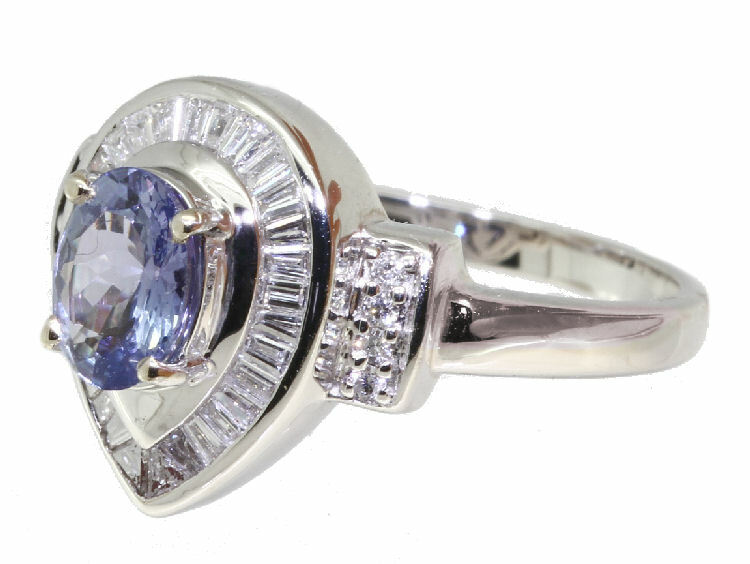 The diamonds have VS/SI clarity and G/H colour. 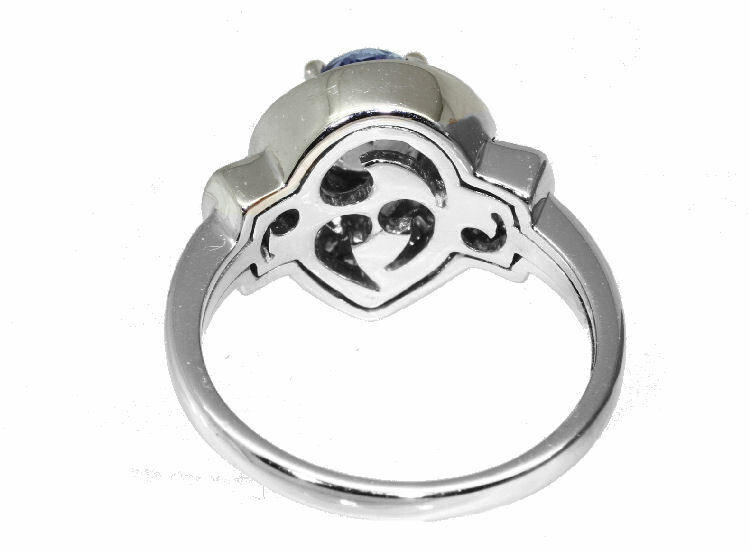 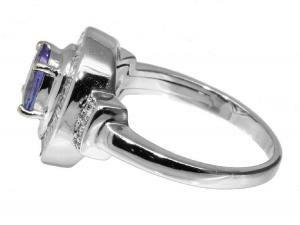 This ring can be resized from the current size M1/2 (UK) by your local jeweller or by us upon your request. 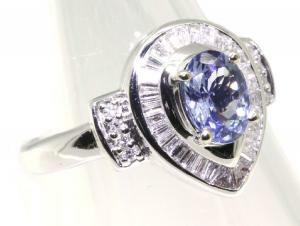 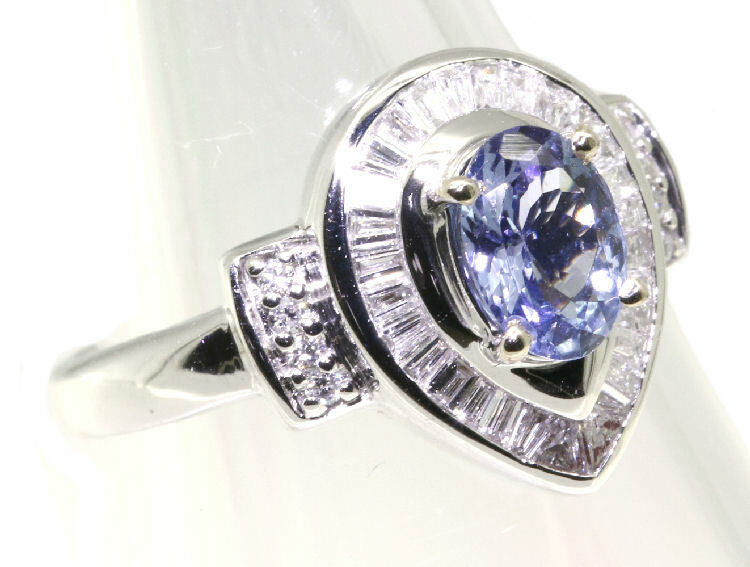 An independent jeweller's certificate is provided with this ring, with a valuation of £1,875.